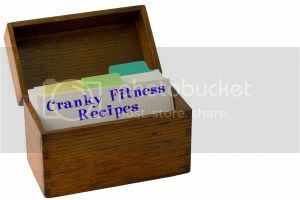 Welcome to our the first post in what will hopefully be a regular feature of Cranky Fitness: Reader Recipes! This is part of our ongoing efforts to make readers do our work for us make the blog more of an "interactive experience!" So this first recipe was submitted by Debbi, who blogs over at Knit. Run. Repeat. It looks both tasty and mighty darn healthy. Enjoy! Cook pasta in boiling water according to package directions. Add edamame toward end of cooking time. While pasta is cooking, spray a large non-stick skillet with cooking spray. Saute chicken sausage for two or three minutes, then add celery and onions. Cook until onion is almost translucent. Add peppers and broccoli for a couple of minutes and then toss in the mushrooms. You don't want any of the vegetables to be overcooked. Drain pasta, but don't rinse with cold water. Transfer pasta to large shallow serving bowl and toss with pesto sauce until pasta is well-coated. Add vegetables and chicken and mix well. Top with parmesan and serve. Delish! You can vary the vegetables according to your taste, and this also works well with an added half-cup of kidney beans and a handful of pine nuts, if you can afford the extra calories. Crabby says, Thanks Debbi, this looks great! 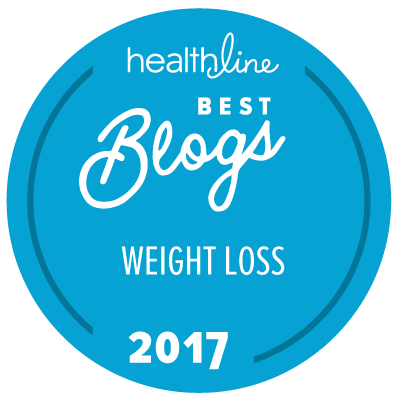 And to other readers who actually know how to cook healthy meals-- please consider sharing your recipes with us, we really appreciate it! I love the unexpected ingredients--I would never have thought of edamame but I bet it's good in there. This recipe does look very tasty. I've never seen chicken sausage though, so I think I'd use ground turkey. Crabby, feel free to grab it from here. Ooops.. sorry Christine. I should have read comments first. I didn't mean to step on your stem/toes! I'm with Mary Anne in Kentucky. Too many food allergies. But it sounds good in an abstract sort of way. I loves me some edamame! Just steam, salt, and eat! They're great in pasta dishes too! Oops, I totally forgot to come back and say thanks, Christine and Hilary! Just had to say that that i made this recipe and it is fantastic. I made a double batch as I wanted leftovers, and I didn't konw what to make of the 2-4 servings listed...but let me tell you, a double batch makes 8 large servings! And we ate it all happily, with none of it getting thrown away or to the recesses of the freezer. :-) I pretty much followed the recipe verbatim and highly recommend you try it - make sure you have good quality, fresh sausage. mmmm! Rachel, that's awesome! It's definitely on my list of recipes to try and it's great to hear how well it turned out for you.